Why didn't I receive my referral bonus? Please check the Payment Details tab in your profile to see your payout history. Referral bonuses are included in your weekly payout. They are not sent in a separate PayPal transaction. 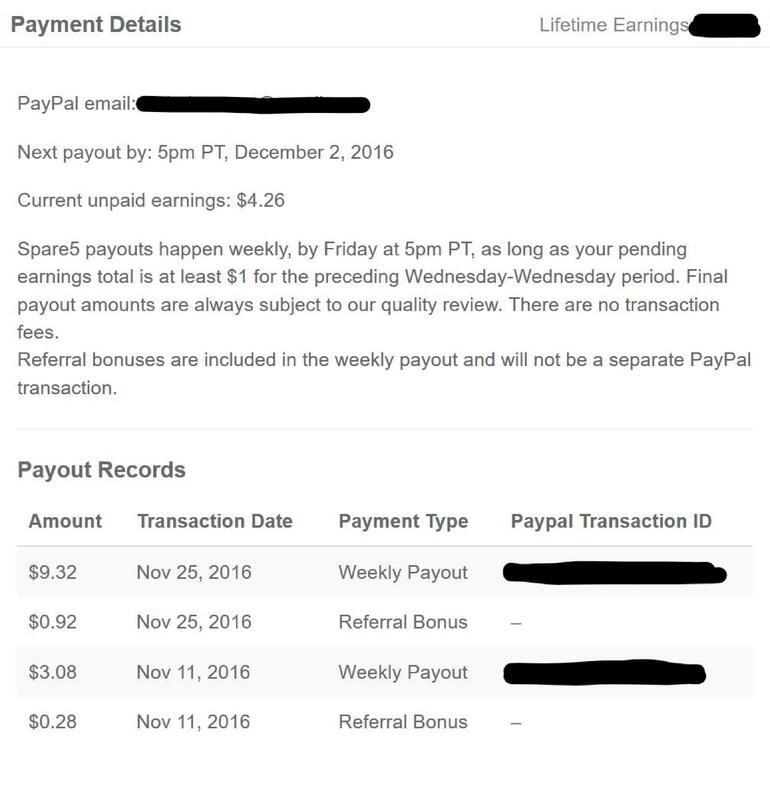 In the below example, the $9.32 Weekly Payout for November 25 includes the $0.92 referral bonus. Also, keep in mind that referral bonuses are only earned on task payouts. So if you refer a friend that earned $20 in referral bonuses, you will not receive a referral bonus for that $20. Finally, you may have reached the bonus limit. Referral bonuses are earned for the first 180 days or $100 in earnings (whichever comes first).